Be prepared to bid high and bid often, all while enjoying world-class wines in a glorious waterfront setting. A new wine and food festival is coming to WaterColor in South Walton. 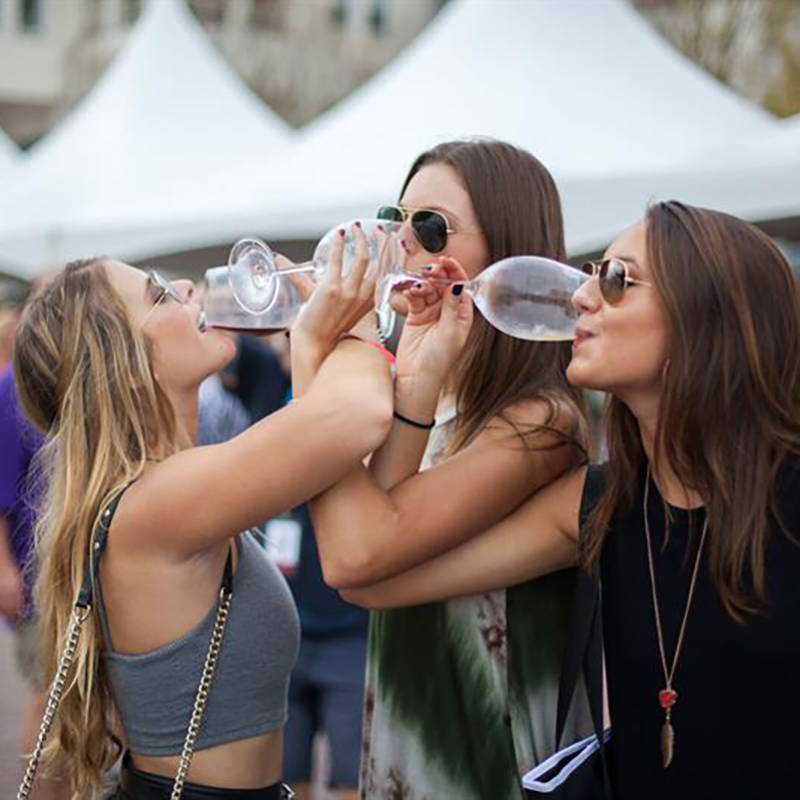 Produced by Destin Charity Wine Auction Foundation (DCWAF), Harvest Wine & Food Festival is poised to become one of the Southeast’s premier fall events. The Destin Charity Wine Auction Foundation (DCWAF) is one of the nation’s premier fundraising organizations. It raises money for 15 Northwest Florida children’s charities that assist at-risk youth in the local community by tackling a variety of issues including homelessness, food insecurity, mental health, education, medical care and much more. The Destin Charity Wine Auction has been ranked the number three “Top Charity Wine Auction in the U.S.” by Wine Spectator magazine. The Harvest Wine & Food Festival will feature some of the world’s premier vintners, proprietors and award-winning chefs showcased throughout four eventful days that are sure to delight food and wine enthusiasts. The festival kicks off Thursday evening with a variety of wine dinners held along iconic Highway 30A, each featuring a celebrity winemaker. On Friday, Nov. 3, the Al Fresco Reserve Tasting held at WaterColor Beach Club will offer festival-goers a selection of library wines that feature rare vintages not easily accessible to the average consumer. An array of perfectly paired hors d’oeuvres and live music all set to a breathtaking Gulf Coast sunset will make for a memorable and elegant evening. The Grand Tasting, to be held from 1 to 4 p.m. Saturday, Nov. 4 in Cerulean Park, is the main event and is designed to highlight harvest season at the beach. Large seafood, barbecue and provisional stations manned by celebrity chefs and complemented by the best restaurants along the Emerald Coast are combined with tasting stations featuring over 150 wines from around the world. Craft beer and spirit tents and an exclusive VIP experience will also be available. Wine industry superstar Alycia Mondavi of C. Mondavi & Family will be in attendance at this year’s festival, pouring a variety of exquisite wines for patrons to enjoy. A silent auction featuring a variety of rare wines, “staycations” and unique experiences will open Friday, Nov. 3, and will run through Sunday, Nov. 5, at noon. The opportunity to purchase wine and other merchandise on-site will also be available throughout the festival. Go to HarvestWineandFood.com for a full schedule and breakdown of wine dinner vintners and locations. Back Beach Barbecue opened in June 2017 by Danny and Monica Cosenzi, the duo behind the famed Restaurant Paradis located in Rosemary Beach. Danny and Monica have always emphasized their staff is really more like family. Starting Back Beach Barbecue has been a collaborative effort with Chef/Partner Mark Eichman, Pitmasters Chris Mack and Shane Kirkland and all around “MVP” Donnie Sellers being essential elements in its establishment. Back Beach Barbecue is cooking up a delicious menu of their famous 12-hour slow-cooked meats for Harvest Wine & Food Festival that is sure to impress. All festival culinary stations will be hosting short demos each hour showcasing the incredible coastal fare offered throughout the day. Be sure to stop by the barbecue pit to learn from some of the best pit masters on the Gulf Coast. Destin Charity Wine Auction Foundation’s (DCWAF) mission is to connect wine enthusiasts with events to raise money to benefit children in need in Northwest Florida. Founded in 2005, DCWAF has donated more than $15 million to Northwest Florida. Those dollars have impacted the lives of over 90,000 youth, including those afflicted by health issues and abuse. Learn more at DCWAF.org or facebook.com/DCWAF. Prices vary based upon event day and are on sale at dcwaf.org/tickets. Weekend passes and lodging packages are also available.